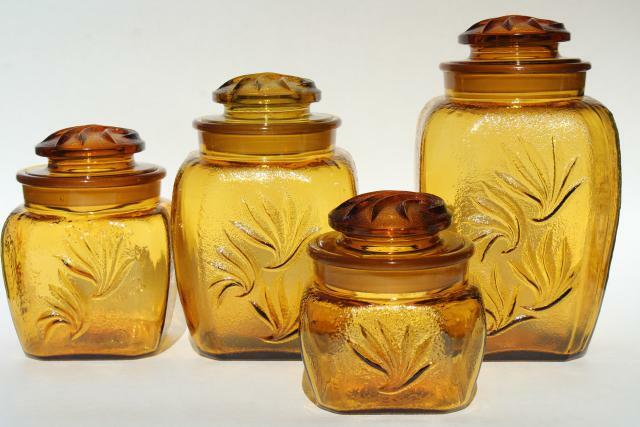 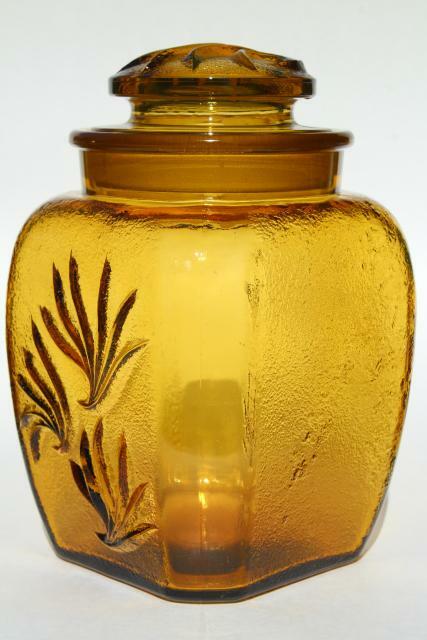 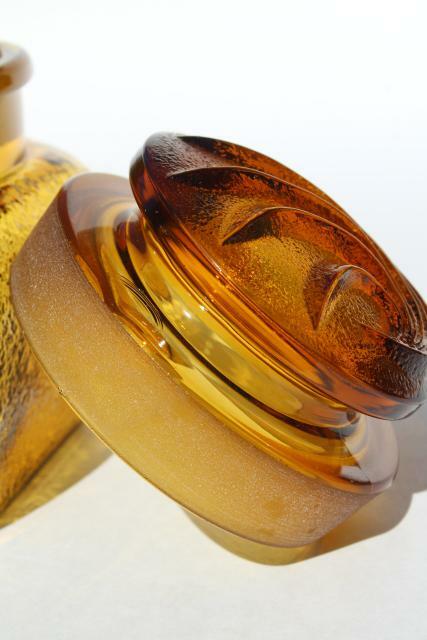 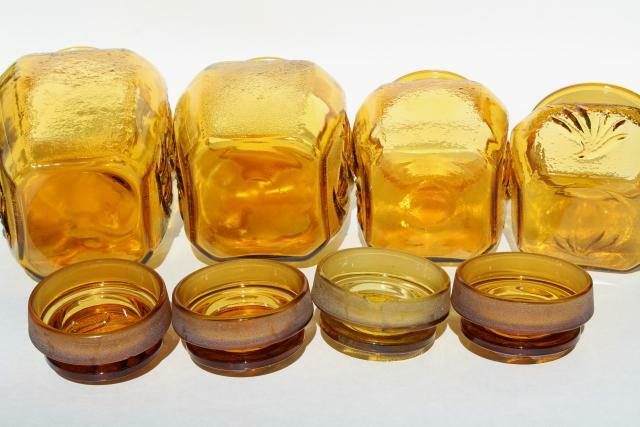 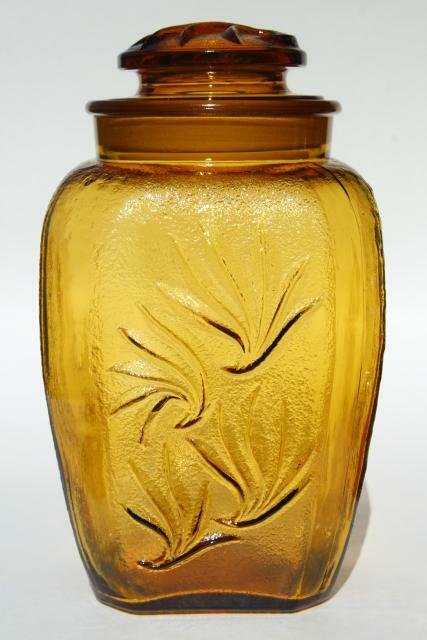 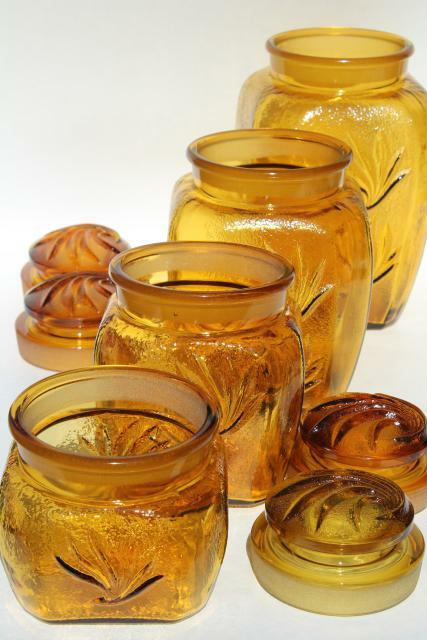 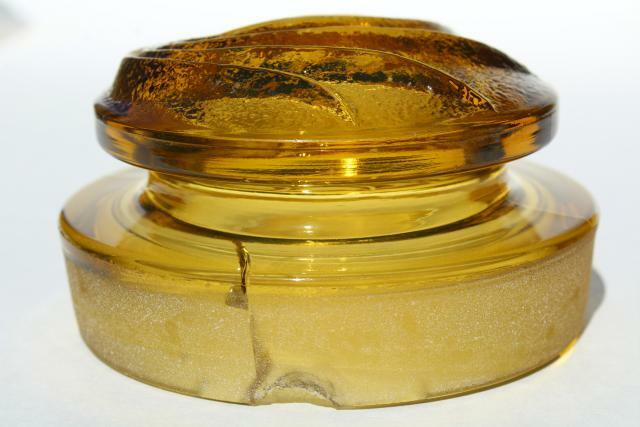 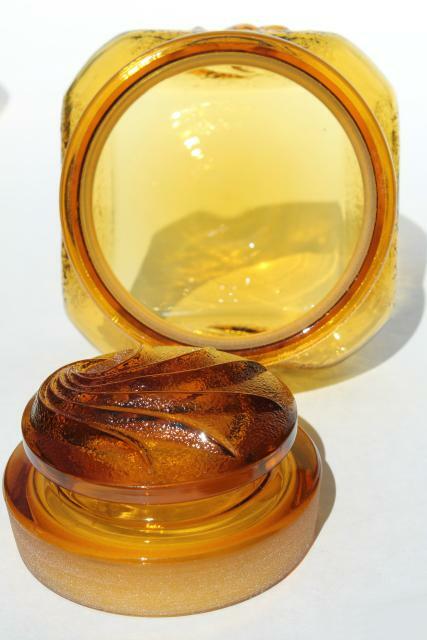 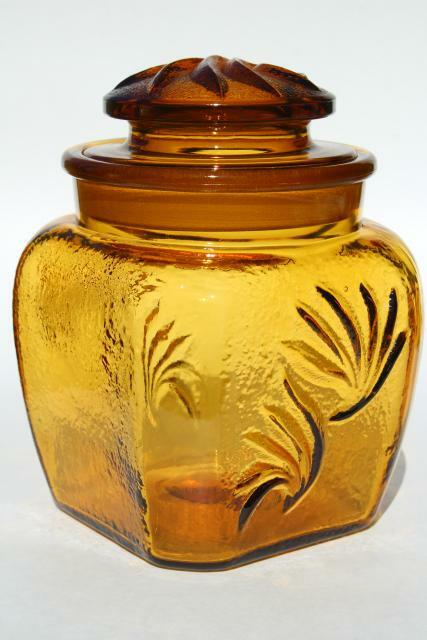 Sandscroll pattern amber glass canister jars with ground glass lids, made by Smith glass 1960-1970. 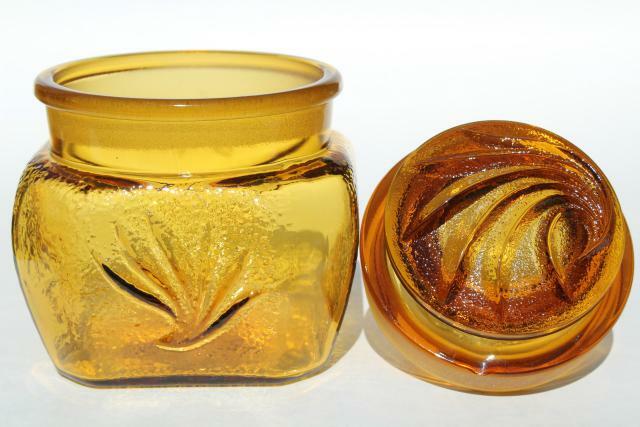 Love the textured finish, and the design that looks like an agave leaf - these would look great in a western or southwestern kitchen! 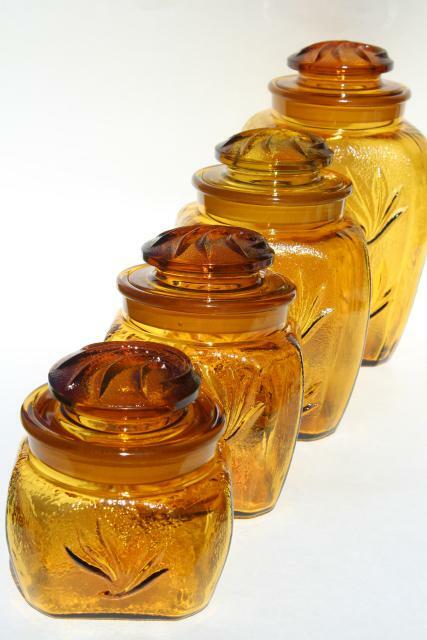 This is a set of four jars, about 6" to 10 3/4" tall. 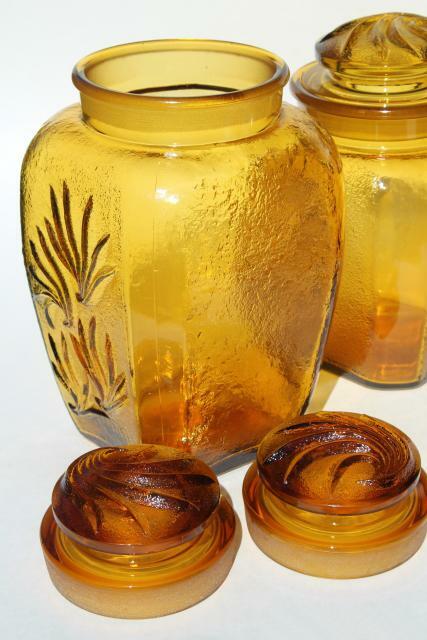 The jars are all in very good clean condition - two of the lids have a few chips to the inside rims.